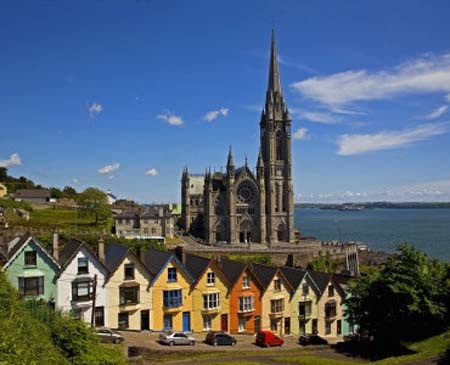 Cobh has the only port in Ireland capable of docking a Cruise ship. 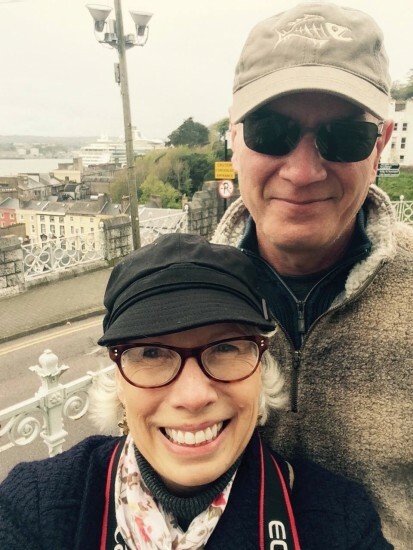 Cork Ireland was the port the Titanic disembarked from on its final voyage. White Star Line was determined that no expense would be spared in the construction of Titanic. It took 3 years for Titanic to be completed at a cost equivalent to 7.5 million dollars. The Titanic at the time was the largest ship ever built with a length of 883 feet and a maximum height of 175 feet. 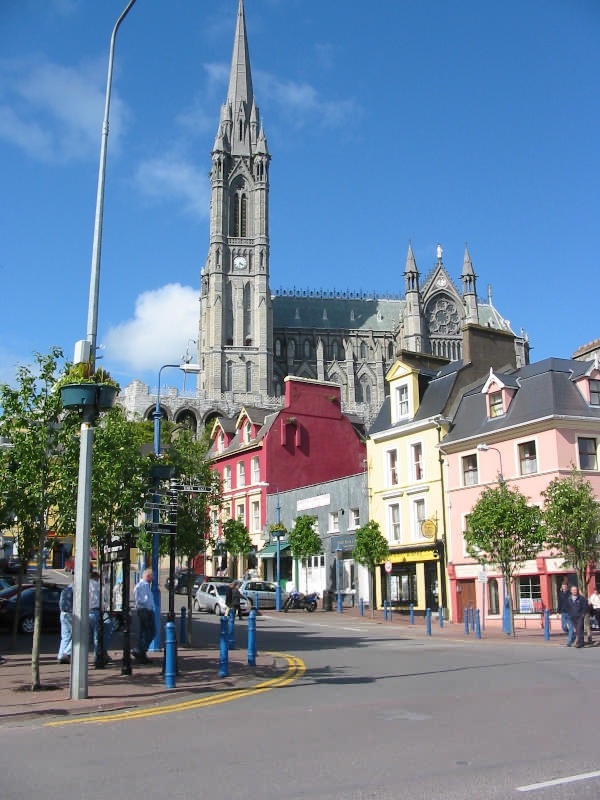 Titanic sailed from Southampton to Cherbourg in France and then on to Queenstown (Now Cobh). At Queenstown she picked up mail and 123 passengers. 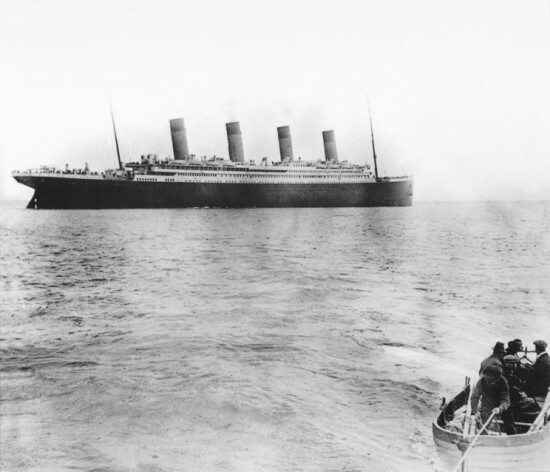 On Board were 2228 passengers and crew when the Titanic left Queenstown at 1.30pm on the afternoon of Thursday April 11th 1912 steaming west out into the Atlantic bound for New York. 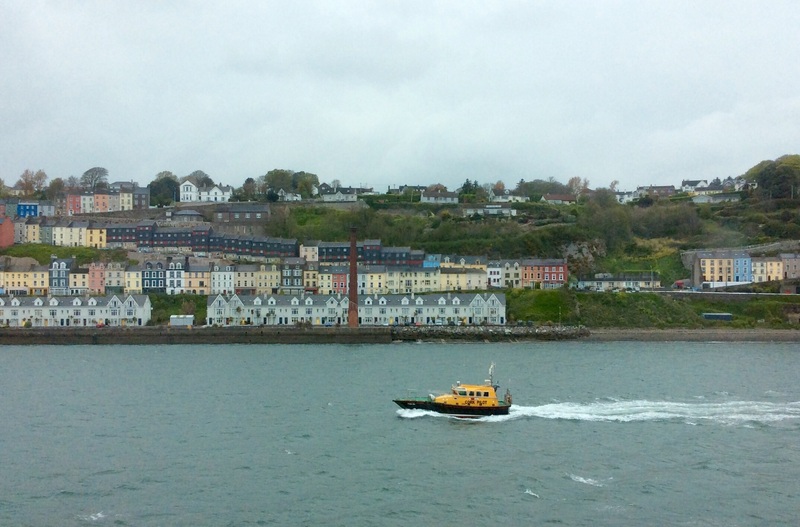 We sailed into Cobh at 9:00am. The houses are painted such vibrant colors and their close proximity to one other was really cute and probably practical as well. Our tour guide said there are no restrictions on the house colors and many think people paint them with bright colors to cheer up the view. This region gets an average of 220 days of rain per year. On May 7th 1915 the Cunard liner Lusitania was en route from New York to Liverpool with 1,959 people on board, was about 10 miles off the Old Head of Kinsale and travelling at 18 knots when she was struck by torpedo from a German submarine U20. She quickly listed to one side, making it difficult to launch lifeboats and sank in just 300 ft of water. A flotilla of rescue boats were launched and 761 people were saved. The majority of the 1,198 passengers who lost their lives were never recovered. 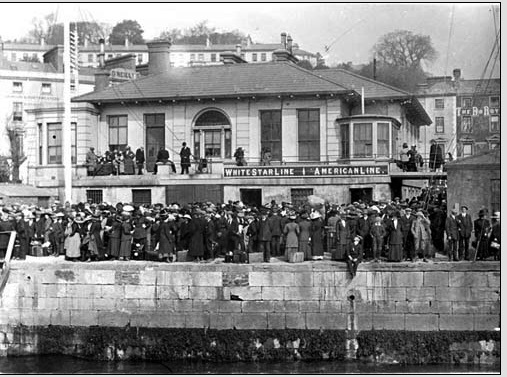 The survivors were ferried to Queenstown ( now Cobh) and were accommodated in local hospitals, lodging houses and private homes. We walked up the hill to see St. Coleman’s Catholic Church. They were having a funeral service so we were unable to see the inside. But, we did capture a view from the church. The walk up the hills was surprisingly easy.